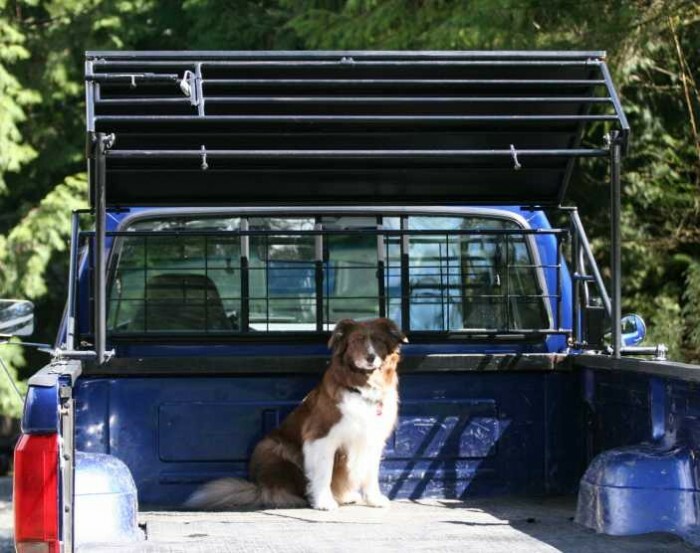 This product is designed to protect dogs (and other animals such as goats) from wandering freely in the back of a pickup truck or being tethered. It also may protect the animal(s) from injury due jumping out, ejection during a fast stop or sharp turns. The pet can move freely within the shelter. 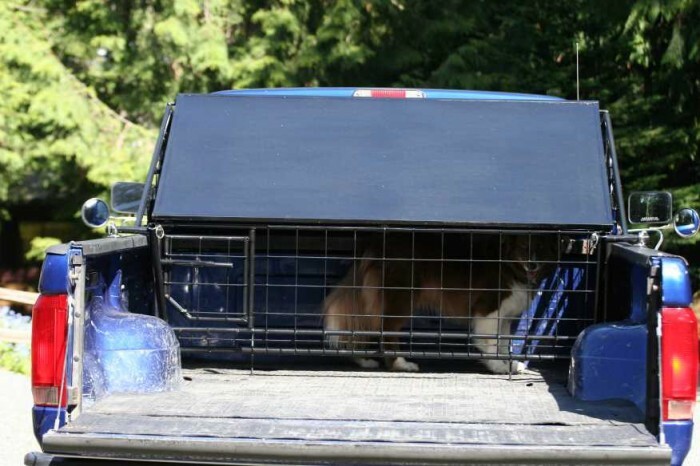 This device also shelters them from the weather and is lockable to prevent theft of the pet or cargo being stored in the enclosure. 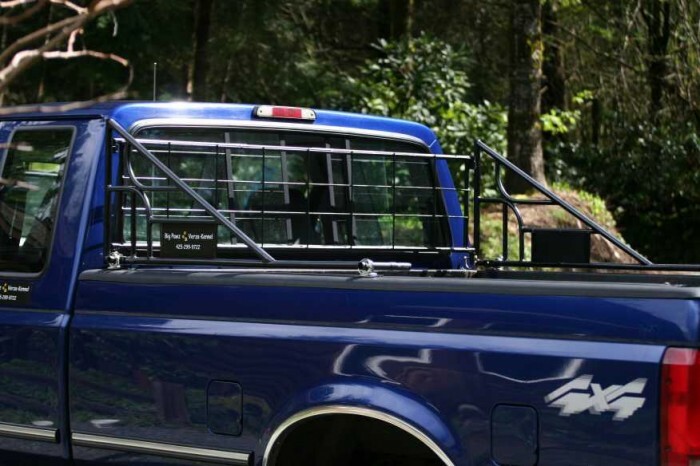 Originally designed for use with fifth wheel trailers or gooseneck trailers, it can be used while towing utility or travel trailers and allows for use of the pickup bed. 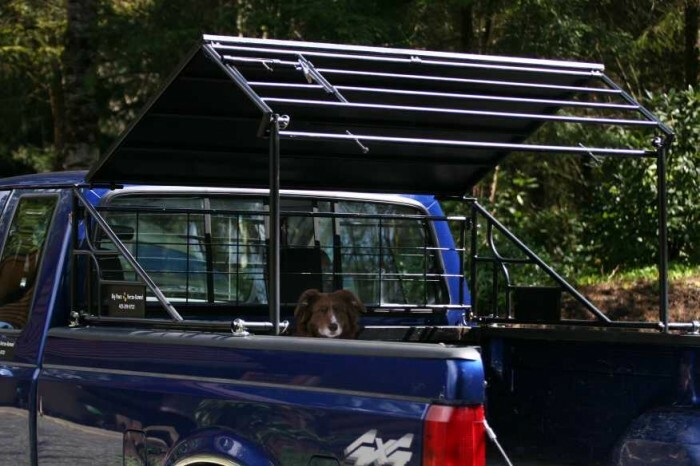 •	Not in use, the shelter can be quickly and easily maneuvered to lie against the back the truck cab in order to utilize the truck bed. The unit is lightweight, can be disassembled in minutes and hung on a garage wall, or stored, requiring only one person. 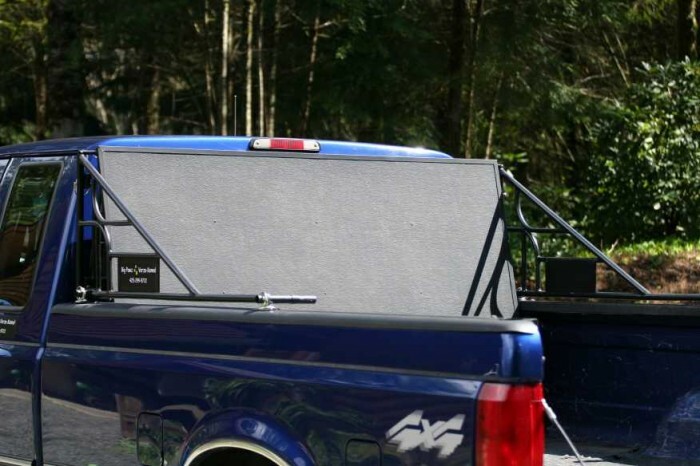 (Unlike a truck bed canopy). The shelter can be used for a multitude of activities: camping, hunting, boating, equestrian, farming, 4H, construction and more. 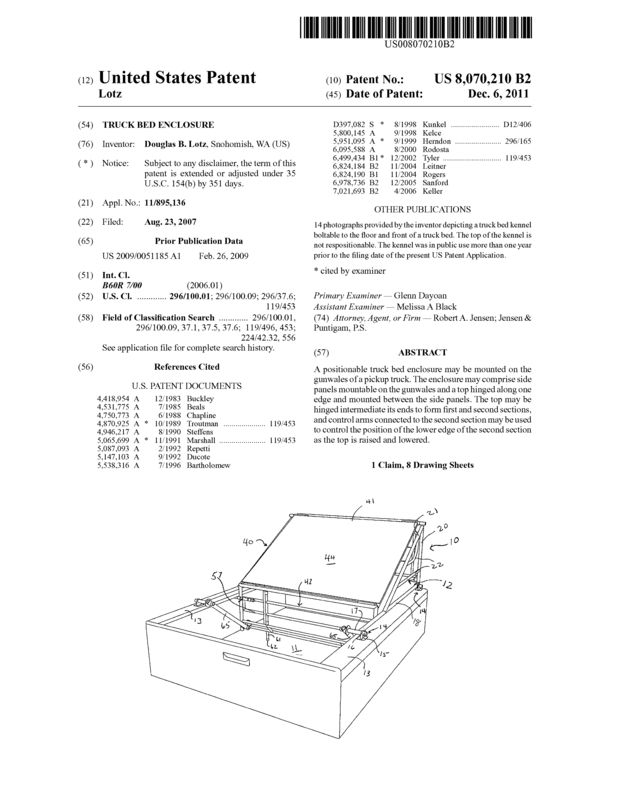 Page created at 2019-04-23 6:49:24, Patent Auction Time.